SCVHistory.com | Station Fire | 14 Freeway Interchange Named for Hall, Quinones. Sonia Quinones, who turns 3 on Saturday, hugs mom, Loressa. Sonia was born three weeks after her father lost his life fighting the Station Fire. Photos: Leon Worden/SCVTV. Family, friends and colleagues gathered Wednesday to remember two fallen firefighters who died during the Station Fire in 2009. Captain Ted Hall and Firefighter Specialist Arnie Quinones were killed tried to escape part of the largest wildfire to ever affect Los Angeles County history. Freeway signs dedicating the interchange of State Route 14 and Angeles Forest Highway were unveiled by family members. The honors were arranged by a group effort led by Supervisor Michael Antonovich, Former Fire Chief P. Michael Freeman and State Assemblyman Steve Knight. 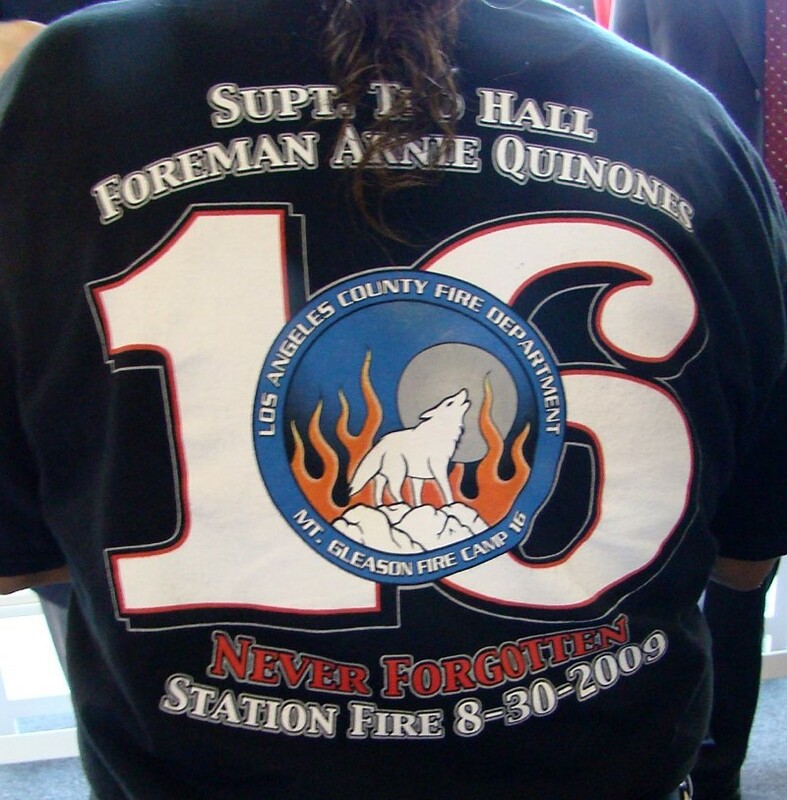 Following a gathering of family, fire colleagues and government officials at LA County Fire Station 129, a somber dedication ceremony marked the interchange of State Highway 14 and Angeles Forest Highway near Lancaster in memory of two firefighters who were killed in the Station Fire in 2009. 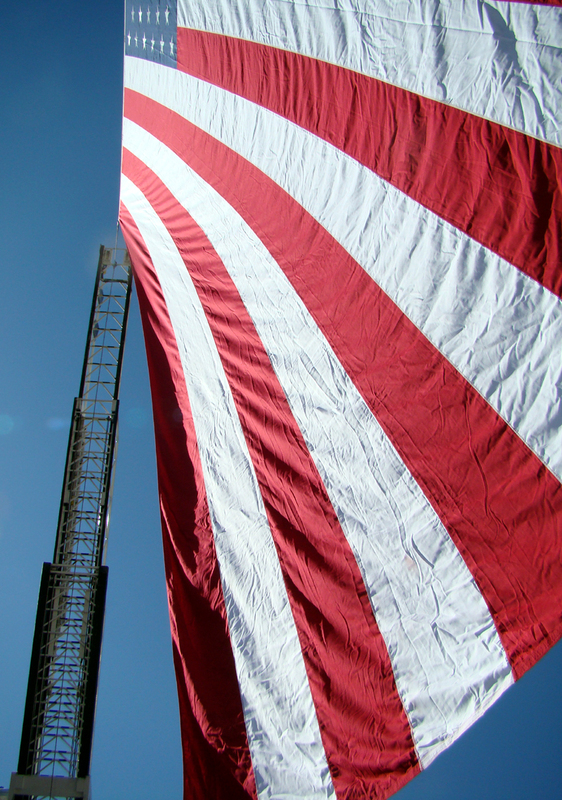 On August 30, 2009, the fourth and fateful day of the Station Fire, Fire Captain Ted Hall, 47, and Firefighter Specialist Arnie Quinones, 34, gave their lives performing their last act of courage. While a plan was in place to defend Camp 16 if the fire approached, including a firing operation along Mt. Gleason Road, something tragic occurred. As Hall and Quinones performed the firing operation, the fire quickly and unexpectedly pushed across the west end of the Camp, and instantly surrounded and burned through the entire compound. There was no time for them to return to the safety of the Camp area. They were killed in the line of duty when their emergency response vehicle went over the side of Mt. Gleason Road and fell 800 feet into a steep canyon. 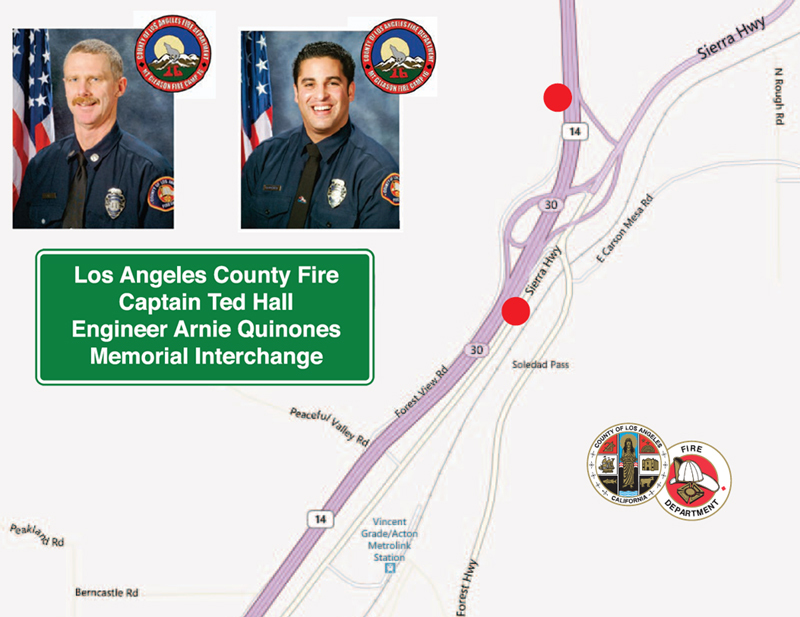 Through the efforts of Los Angeles County Supervisor Michael D. Antonovich, the California State Legislature has designated the interchange of California Highway 14 and Angeles Forest Highway as the "Los Angeles County Fire Captain Ted Hall and Engineer Arnie Quinones Memorial Interchange" in honor of their heroic actions that took their lives during the largest wildfire in Los Angeles County history. 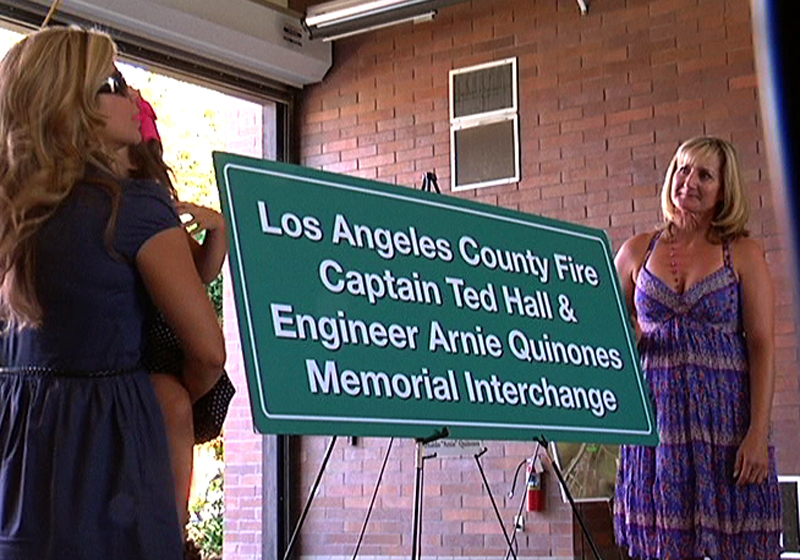 Signs affixed on California Highway 14 at both the northbound and southbound entrances to the interchange were unveiled by family members. P. Michael Freeman, retired Fire Chief for Los Angeles County, thought the signage was a fitting tribute. "It is so special that the millions of motorists that go by now will be able to remember Ted and Arnie for what they did, but hopefully all of the men and women in public safety throughout our state and country who put their lives on the line every day for all of us," he said. 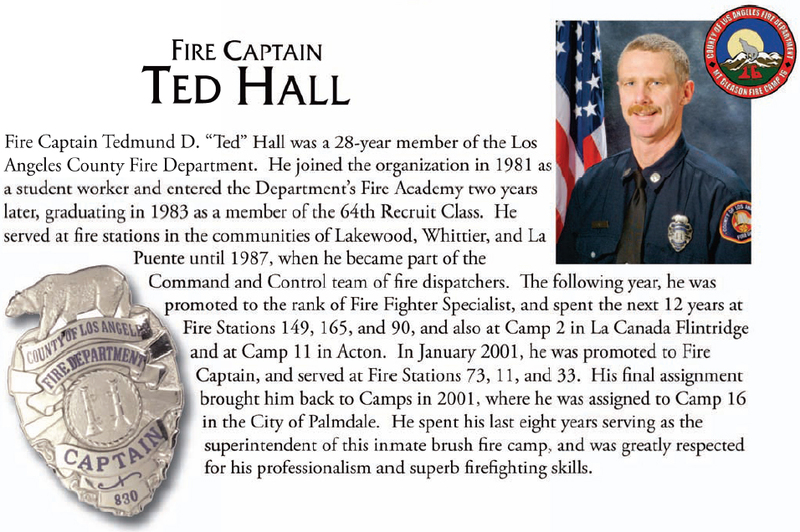 Hall was a 28-year members of the Los Angeles County Fire Department, joining the organization in 1981 as a student worker and entering the Department Fire Academy two years later, graduating in 1983 with the 64th Recruit Class. He served at fire stations in the communities of Lakewood, Whittier and La Puente until 1987, when he became part of the Command and Control team of fire dispatchers. He was promoted to Fire Fighter Specialist in 1988 and spent the next 12 years at Fire Stations 149, 165 and 90, as well as Camps 2 and 11. 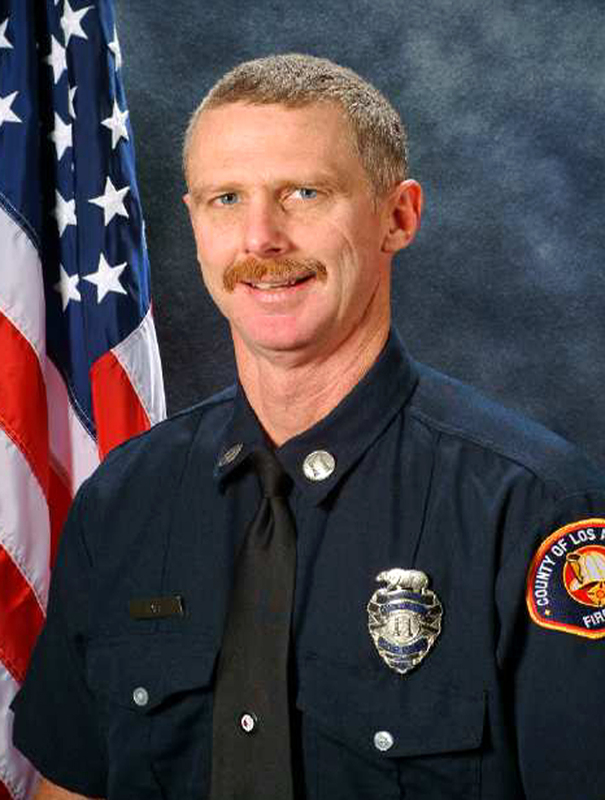 In 2001, he was promoted to Captain and served at Fire Stations 73, 11 and 33. His final assignment was to Camp 16 in the city of Palmdale. He spent his last eight years serving as the superintendent of the inmate brush fire camp and was greatly respected for his professionalism and firefighing skills. 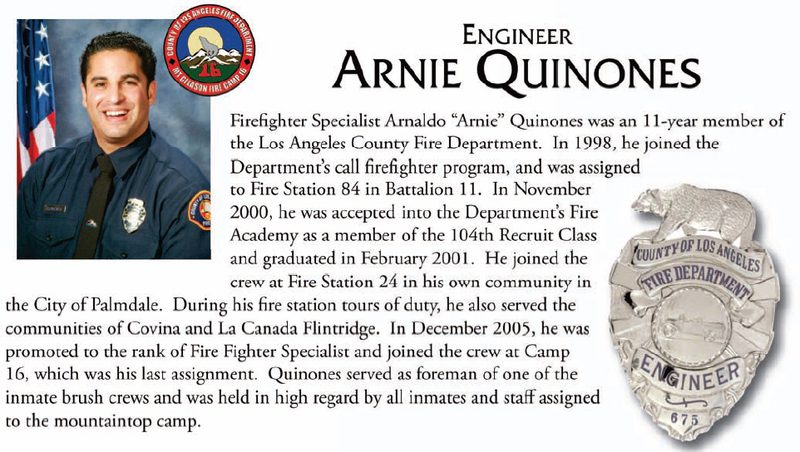 Firefighter Specialist Arnaldo "Arnie" Quinones was an 11-year member of the Los Angeles County Fire Department. In 1998, he joined the Department's call firefighter program and was assigned to Fire Station 84 in Battalion 11. In November 2000, he was accepted into the Department's Fire Academy as a member of the 104th Recruit Class and graduated in February 2001. 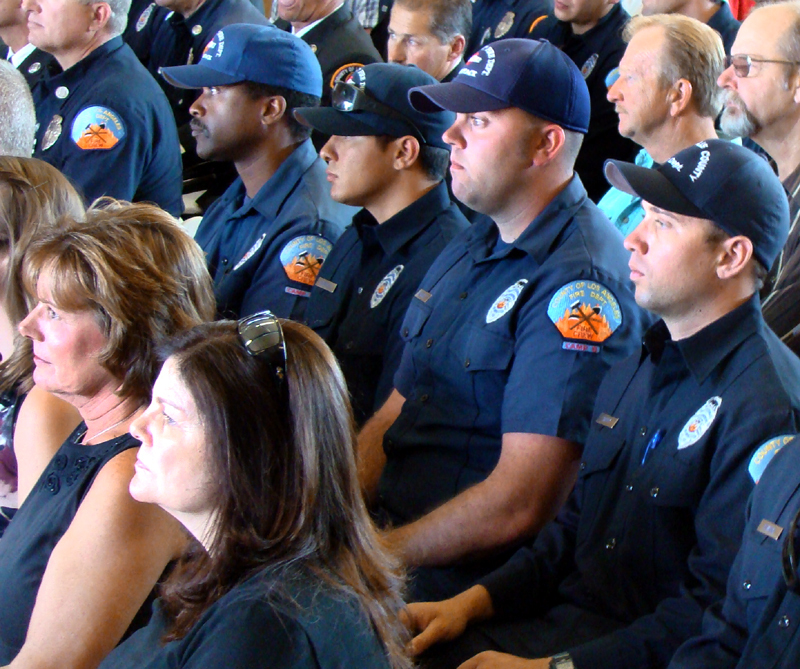 He joined the crew at Fire Station 24 in his own community of Palmdale. 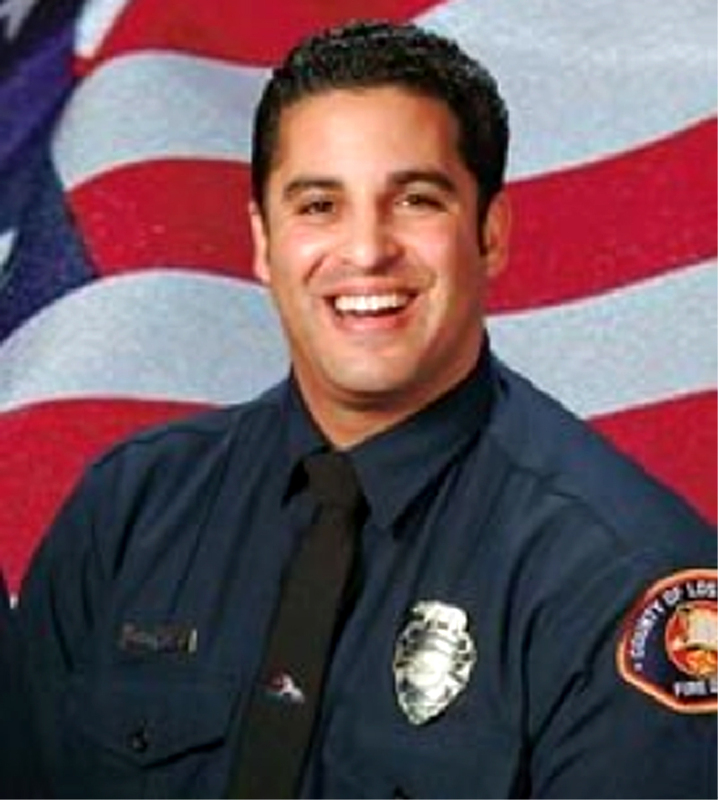 During his fire station tours of duty, he also served the communities of Covina and La Canada Flintridge. In December 2005, he was promoted to the rank of Fire Fighter Specialist and joined the crew at Camp 16, which was his last assignment. Quinones served as foreman of one of the inmate brush crews and was held in high regard by all inmates and staff assigned to the camp. His daughter was born three weeks after Quinones died. Widows Loressa Quinones (left) and Katherine Hall flank a mockup of the signage that was placed Wednesday along the freeway. 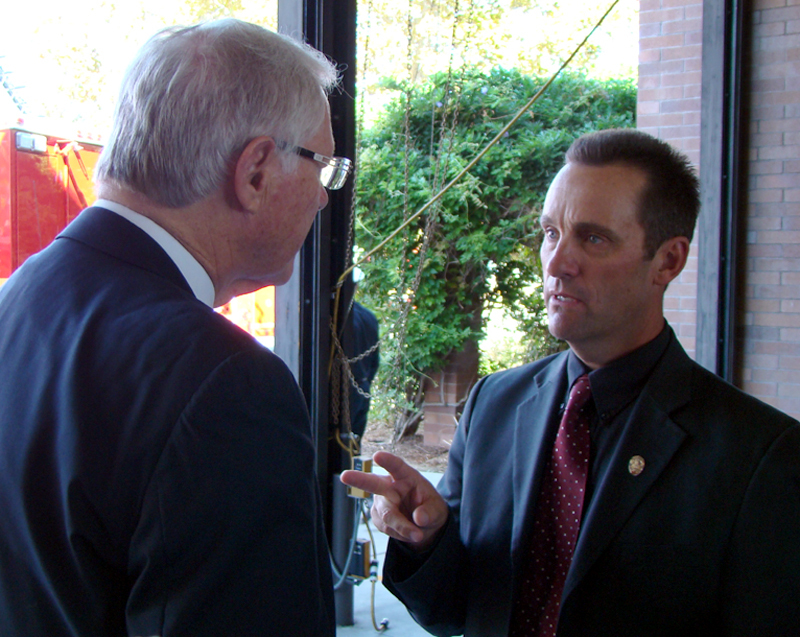 Supervisor Michael D. Antonovich and Assemblyman Steve Knight played key roles in the effort to dedicate the freeway interchange to Hall and Quinones.